During the “Thursday Night Football” game, the Miami Dolphins completed a pass that must be seen to be believed. 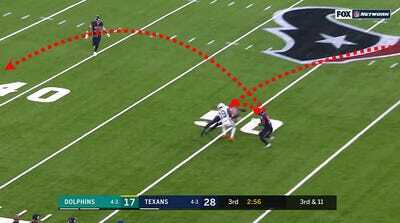 Quarterback Brock Osweiler scrambled to his left and threw downfield to Jakeem Grant for what seemed likely to be about a 25-yard catch. 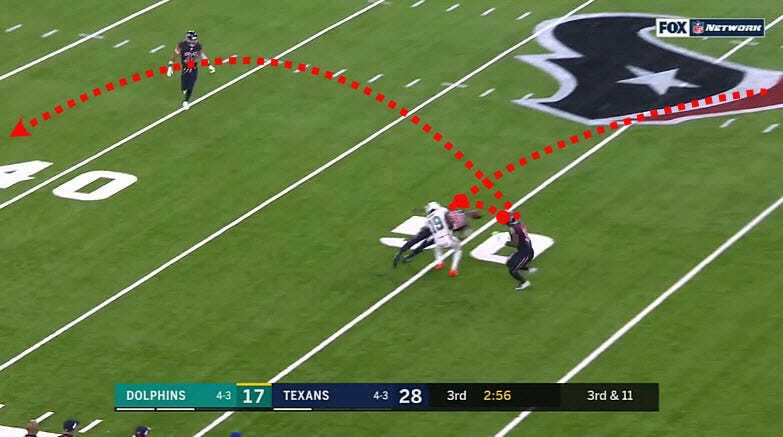 The ball was knocked out of Grant’s hands, however, only to deflect off a different defender’s helmet before being caught by Devante Parker another 12 yards downfield. The play went down as a 46-yard reception for Parker for being in the right place at the right time. Many on social media compared the catch to a “Madden glitch,” a reference to the “Madden” video game series in which bizarre scenes are sometimes carried out by the computer. Here is the play, via Fox.